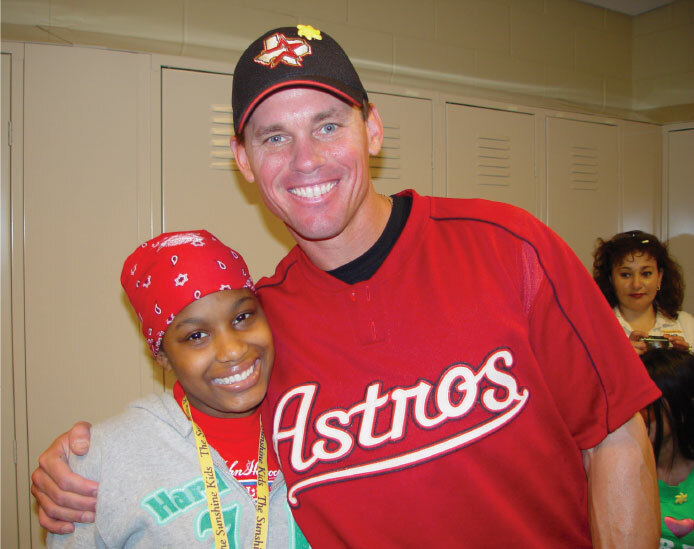 For more than two decades, Craig Biggio has supported the Sunshine Kids Foundation. His unselfish commitment has featured numerous contributions to the Foundation, including a pool table for the game room, jungle gym and a party deck which is used for activities for the Kids at the Sunshine Kids house. Every year Craig hosts the annual Biggio Baseball Party at Minute Maid Park for the Sunshine Kids. This event is the always the highlight of the year and gives the children the opportunity to play baseball with Craig and a few of his Astros teammates. As the National Spokesperson since 2003, Craig has helped raise millions of dollars for the Sunshine Kids through a host of fundraising events. He continues, as he did throughout his career, to wear the Sunshine Kids pin on his baseball cap in support of children with cancer everywhere. The Sunshine Kids Foundation is honored to welcome J.K. Simmons as a national spokesman for the foundation. J.K. and his wonderful family symbolize what is best in the Sunshine Kid world of volunteers. J.K. has appeared in a diverse range of projects spanning from motion pictures, television and the stage, on and off-Broadway. He won the 2015 Academy Award for Best Supporting Actor for his portrayal of merciless jazz instructor, ‘Fletcher’ in Sony Pictures Classics’ “Whiplash.” His performance in the film also garnered him a Screen Actors Guild Award, Golden Globe, Independent Spirit Award and BAFTA Award, as well as many critics’ group awards around the world. J.K. has been a long-time supporter and friend of the Sunshine Kids Foundation. He has attended the annual Holiday Party in Los Angeles, hosted events in his home and made visits to the Kids on our national trip, the California Fun-Time Fantasy. He has hosted Kids at the premiere of “Kung Fu Panda 3” where they walked the red carpet with him and watched a VIP screening of the movie. He donned the Sunshine Kids Pin on his lapel at the 2016 Academy Awards Ceremony as he presented an award on stage. He also wore the pin at the Screen Actors Guild Awards the same year. 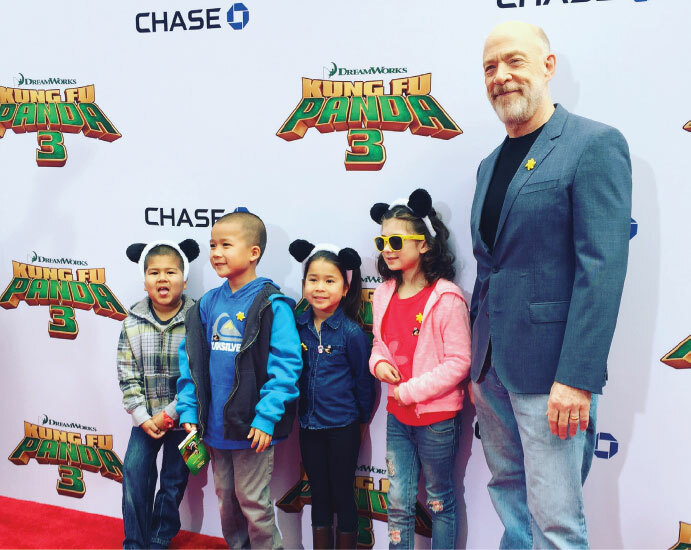 J.K. Simmons, as seen in the March 14, 2016 column in People Magazine, is always ready and willing to speak proudly of his and his family’s association with Kids fighting cancer everywhere.